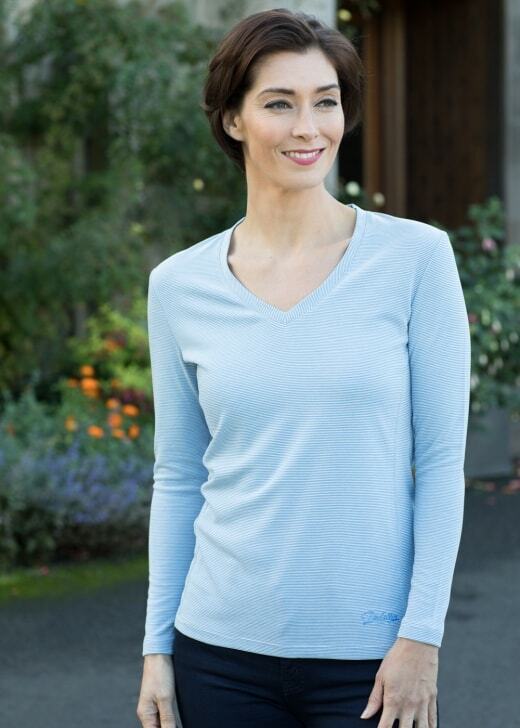 The Dubarry Portumna Top is a fun and flattering ladies top with stripe design across the body. The Dubarry Portumna Top is a fun and flattering ladies top with stripe design across the body. Contrast colouring and a flattering fit give this top a light, casual feel- making it the perfect piece for those lazy summer days.